The relationship between millennials and video games is a long one, but it’s been shaky in recent years. Climbing prices, incomplete games, and now, Electronic Art’s (EA) latest blunder, has left players feeling peeved and ripped off. 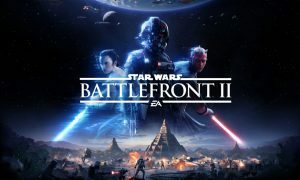 Before the release of Star Wars Battlefront II (SW BF2), produced by EA Games, the company announced that players would need to clock 40 hours of gameplay to unlock main characters from the popular film franchise, or spend additional money on top of the base game, almost $80 per character. Players realized that to unlock everything in-game would take over 4,500 hours, or cost $2,100 dollars out of pocket. 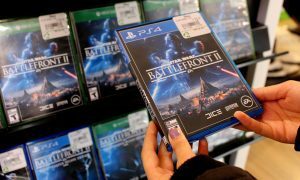 Swift backlash from the gaming community followed the announcement, causing EA Games to receive the most down-voted Reddit post in the website’s history within 24 hours. As a result, EA removed in-game purchases and lowered time requirements for the unlocked characters by 75 per cent. Sebastien Martin-Schultz, the acting vice-president of Ryerson eSports and third-year New Media student, said that the original time expectations of EA for SW BF2 were unrealistic. SW BF2 isn’t the only game that requires players to “pay-to-win”. The practice of high-budget AAA games taking money from players to advance their progress is common. These extra costs and unlocked items are some things Martin-Schultz doesn’t mind. Game designer and co-host of the podcast Gameology, Attila (Gabriel) Branyiczky, sees some merit in paid features of AAA games – but only to an extent. While it appears the pay-to-win features and unlocks in AAA games won’t fade anytime soon, Branyiczky believes that consumers are a major factor in reducing these practices.